Long-term bank loans are one way of financing major purchases or consolidating several short-term loans into one longer-term loan. Common examples of long-term loans used by consumers are mortgages, student loans, car loans, boat loans, equity loans and some personal loans. Home, car and auto loans are secured loans, meaning you offer the property as collateral to get the financing. Long-term loans allow you to buy things -- paying for them over time -- that you otherwise couldn't afford. 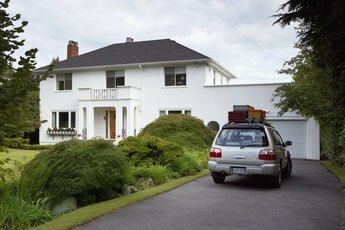 Since most people don't have $200,000 to shell out for a house, they get financing to purchase it. The loan and interest usually are repaid over 15 to 30 years. Similarly, a car loan is repaid in incremental amounts across 36 to 72 months. These debt types allow you to work with the lender to figure out how much you can afford to pay back each month over the loan term. Long-term bank loan products normally have lower interest rates than short-term loans, credit accounts and credit cards. Whereas a standard credit card can range from 10 to 25 percent interest, depending on your credit, you often can get a home loan in the 4 to 5 percent range as of January, 2019. 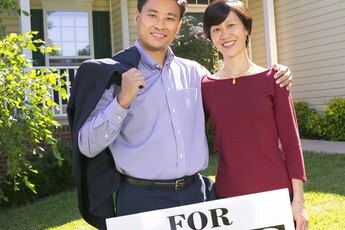 Home equity loans offer similar rates. Car loans are a bit higher usually, but not by much. This advantage is why some people consolidate high-interest credit card debt using a home equity loan. The longer your repayment term, the more you end up paying in total interest costs. To demonstrate the total costs of a mortgage loan, HSH Associates shows that a $100,000, 30-year loan at 5 percent has a total repayment cost of $193,255 if you make no extra payments. You pay nearly twice as much for the product, your home, to be able to afford to purchase it through a long-term loan. You usually do get tax breaks on mortgage interest, but your net interest costs still are significant. Getting wrapped up in long-term debt obligations also restricts your monthly cash flow. Homes, cars, boats, major appliances and other big-ticket items add up quickly. If your monthly net income is $4,000, your living expenses are $2,500 and your debt repayments are $1,200, you only have $300 remaining that is not spoken for. This makes it difficult to build a rainy-day fund, put away money for college or have spending cash. Can You Write Off Student Loan Payments? What Is a Title Loan on a Mobile Home?